Our patient is a 33-year-old female who came with complaint of the tip of her nose. 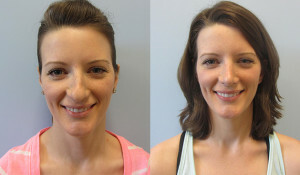 Dr. Temmen performed a tip rhinoplasty. The patient is very happy. Our patient is a 32-year-old female who was unhappy with a slight dorsal hump, dorsal wideness, and bulbous tip. 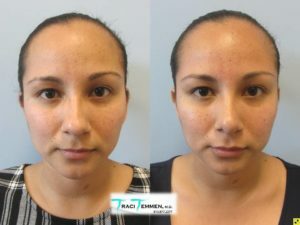 Dr. Temmen proceeded by performing a rhinoplasty. The patient is very excited with her post-surgical results. Ever since she was a child, this 29-year-old female had been unhappy with the appearance of her nose. She felt that her nose was too large, long, bulbous, and masculine looking. 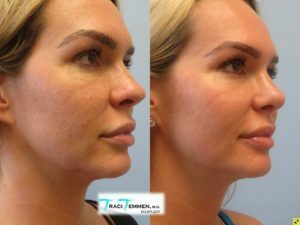 After researching Tampa Bay plastic surgeons, this patient chose Dr. Traci Temmen at the Plastic Surgery Center of Tampa to perform her rhinoplasty. 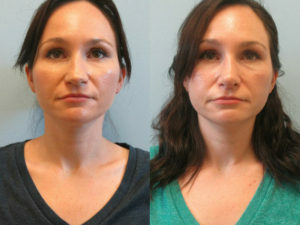 To meet this patient’s goals, Dr. Temmen performed a dorsal hump reduction, straightened the nose, refined the nasal tip, and rotated the nasal tip to give her a more delicate, balanced, and harmonious appearance.